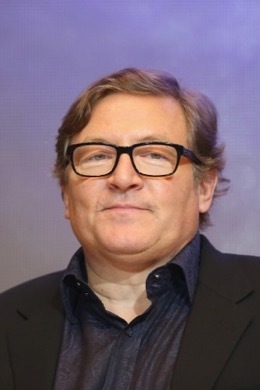 Producer Lorenzo di Bonaventura is the creative force behind some of the most entertaining and commercially successful films of the last two decades. His filmography contains projects covering a wide range of genres. In his position as a studio executive at Warner Brothers he contributed significantly to highly acclaimed films such as THE MATRIX (1999), HARRY POTTER AND THE SORCERER'S STONE (2001) and TRAINING DAY (2001). In January 2003, di Bonaventura formed the „Bonaventura Pictures“ production company based at Paramount Pictures, and has since produced more than 23 films, including the TRANSFORMERS franchise, box office hit, directed by Michael Bay, the spy thriller SALT (2010) starring Angelina Jolie, RED (2010) and RED 2 (2013) featuring Bruce Willis, GI JOE: THE RISE OF COBRA (2009) and GI JOE: RETALIATION (2013), THE DEVIL INSIDE (2012) and the critically acclaimed SIDE EFFECTS (2013) directed by Steven Soderbergh. Lorenzo di Bonaventura will receive the Career Achievement Award on Wednesday, September 28th at Corso cinema. He will present his most recent production DEEPWATER HORIZON on the same evening.